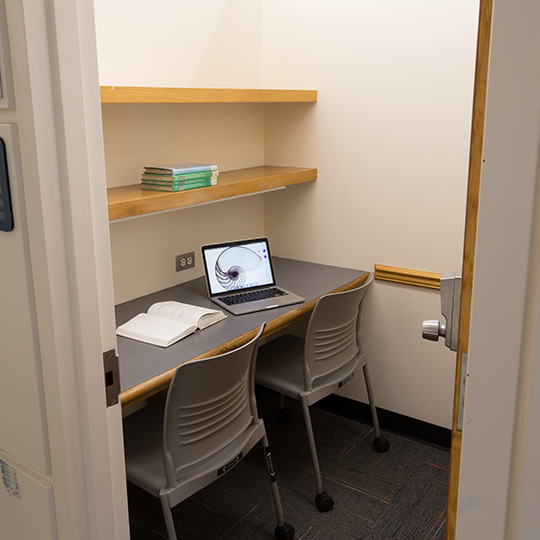 Dibner Library has 22 individual rooms available for use by NYU students. Rooms are available during library open hours. Log in with your NYU NetID. Select your preferred time, date, and reservation length. Users can book rooms for themselves for up to 5 hours per day. For reservable rooms have your email confirmation handy as you may need to verify your reservation. Do not eat full meals or messy foods in the study rooms. If you don’t comply, you will be asked to leave. There is a 15 minute grace period for reservations. Reservations will be canceled if a group is more than 15 minutes late.